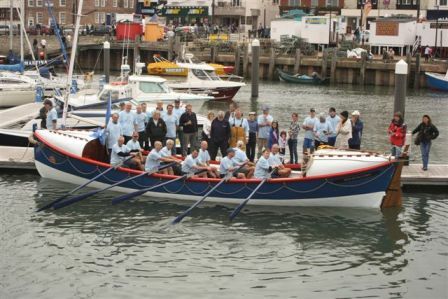 This journey also marked a new scene for me as it is the first time I have seen someone other than the charity chairman at the helm with Tom Clarke as the Coxswain. 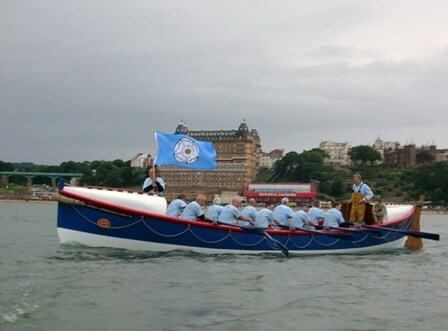 The back breaking row to boost RNLI funds was undertaken by members of Scarborough Amateur Rowing Club, Scarborough Sub Aqua Club and Scarborough Lifeboat crew. Tom Clarke, coxswain of Scarborough's Lifeboat, explained that "It took us about five and a quarter hours to get up to Whitby and the weather managed to behave itself. 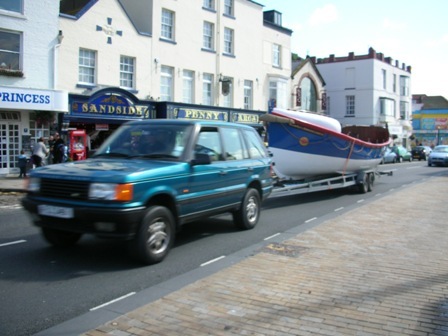 It's hard to imagine putting to sea in an open lifeboat like the William Riley in a rescue attempt. 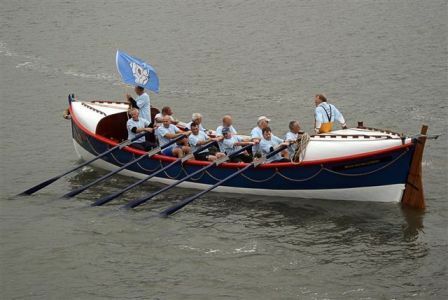 It certainly made me think about the courage of the crews that manned this type of craft all those years ago." 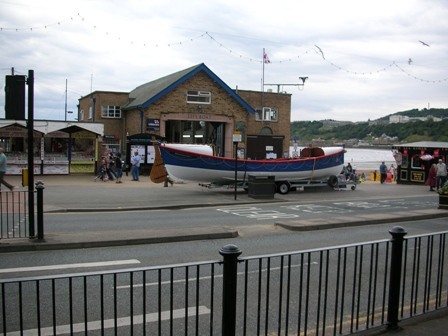 The boat in front of the present lifeboat station. 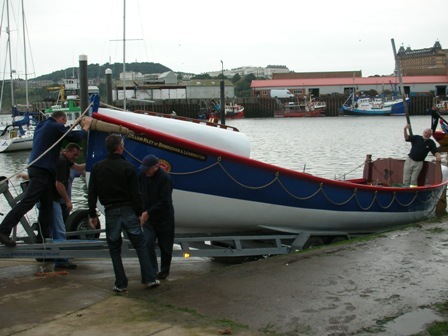 The boat being launched into Scarborough harbour. Mayoral duties completed the boat prepares to leave. 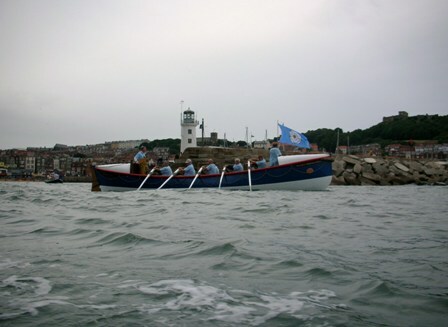 The boat leaves the harbour with Scarborough lifeboat Coxswain Tom Clarke. The Grand Hotel in the background. Now almost in open water the William Riley has a long way to go. I am indebted to Mrs. Dorothy Russell, Mr. Michael Jaconelli, Mr. Andrew Dowsland for the photographs, the other Whitby to Scarborough gallery pages can be accessed using the links below.